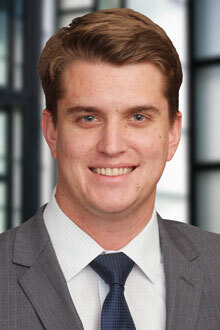 Ryan Matthews is an associate in the Sacramento office of Lewis Brisbois and a member of the General Liability, Complex Business & Commercial Litigation, and Labor & Employment Practices. Mr. Matthews received a B.A. in History from UCLA, and attended law school at University of the Pacific, McGeorge School of Law, where he was the Chief Comment Editor of the University of the Pacific Law Review. During law school, Mr. Matthews served as a Judicial Extern to the Honorable Consuelo Maria Callahan of the Ninth Circuit Court of Appeals. He was admitted to the California Bar Association in December, 2016.